Fitting a new roof is not as simple as you might think. Every building is different, and may require different methods of installation or different types of roofing materials. To make things easier for your supplier, give them as much information as possible. It is important that you give the truss manufacturer enough information about the materials you need and about the roof design. Speak to your architect and your contractor and ask about specific design elements, the positioning of load bearing walls, wall plate levels and exposed trusses. Make 100% sure that your roofing contractor only works with reputable truss manufacturers. Ask if they are registered with the Institute for Timber Construction (ITC). While you can expect your roofing project to be completed on time, it is not good to rush a roofing project. In addition to the time it takes to install a roof, you should also allow enough lead time for the manufacturing side of things. This includes exposed trusses and laminated beams. Speak to your contractor about expected times. Remember, if you are working with Dezzo Roofing, we have a lead time guarantee – if it’s not on time it’s on us! There is a wide range of colours available when it comes to roof tiles. When you decide which roof tiles to use, remember that certain colours take longer to be manufactured. This should be factored into your timetable to prevent unnecessary delays. 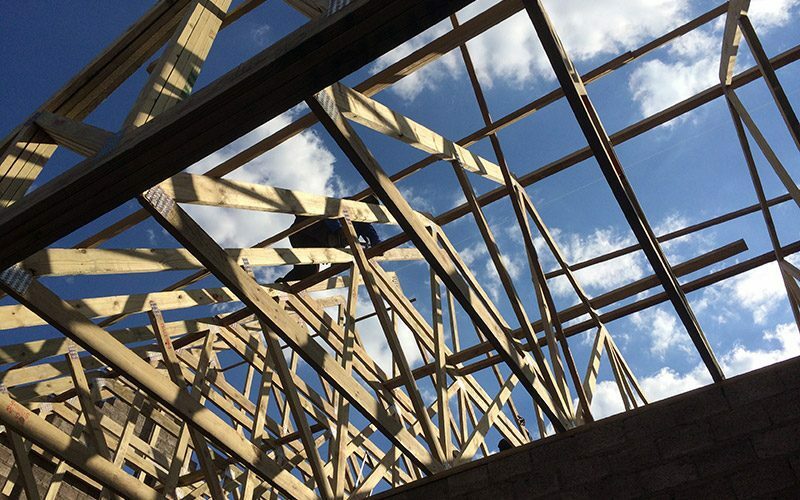 Before any roofing project starts, the site needs to be ready to receive trusses and coverings. This means you need a flat surface that is clean and that you have protective covering for wooden components to prevent damage by environmental factors. While a great design and quality materials are important in any roofing project, you also need to make sure that you work with an accredited roofing contractor. Choose a contractor with the correct qualifications and an excellent reputation in the industry. If you are in need of professional advice when it comes to a roofing project, talk to us. We’ve got you covered.